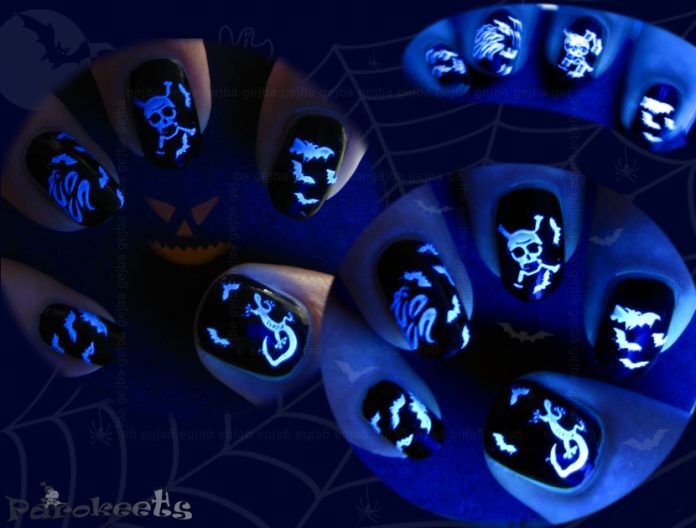 My this years Halloween manicure is called Dr. Jekyll and Mr. Hyde. 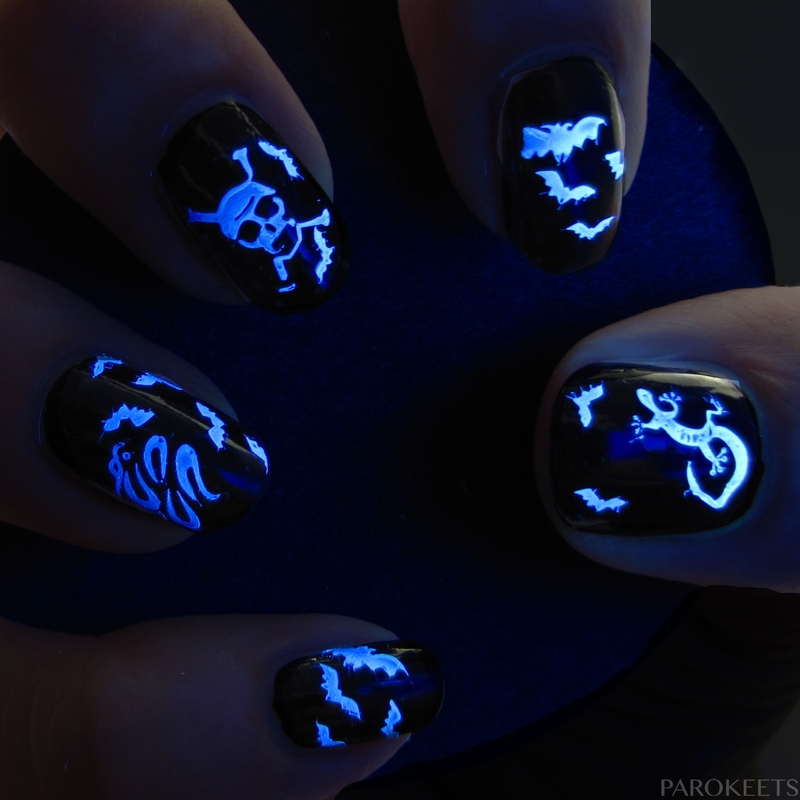 But when Dr. Jekyll goes to the Halloween party and black light shines on him, he becomes …. Mr. Hyde. Essence Pro White Effect – for stamping. Freakin’ Awesome is what I think. That is so darn cool!! woohoo!! Amazingly awesome! Happy Halloween!